WOW! I’m super jazzed to be selected as one of the WeddingWire Couple’s Choice Awards for 2018 as a Photography Vendor in Bermuda! This award is for those in the top 5% of the wedding business! A special thank you to my clients ~ this award is for all of you! I also want to congratulate all the local Bermudian businesses who won the award for their category. Cheers! Print Sale: Offer Expires December 25! Any “Game of Thrones” fans out there? Winter. Is. Coming. Heck… for many of us, winter is here and to celebrate, I’m hosting a print sale for my clients! Grab a cup of hot cocoa, cozy up by the fire, log into your online gallery, and use the promo code YAYWINTER2017 to save 15% on print and canvas wrap orders. Enjoy the winter holidays! Sale: Wedding Photos - Black Friday Arrives Early! Everyone loves a sale and Black Friday has come early this year! If you're a 2018 bride or groom, be sure reserve your big day before Black Friday, November 25, to save 10% on any of the Wedding Day Photo Packages! For details, please e-mail info@fianderfoto.com. You're engaged! Yay! By now, the confetti has been thrown, the bubbly has been popped, your best friend has mapped out the bars you'll go to for your hen night or stag party, and now the first big question arrives: "should we book an engagement shoot?” or “should we book an engagement shoot with our wedding photos as a package?" Decisions... decisions... Let's check out some reasons why it's a fabulous idea to book an engagement shoot. It’s that time of year again; mini photo session time! Hooray! I’ll be holding the mini sessions at Grape Bay Beach in Padget on November 18 and 19th. Sessions include the high-resolution photos delivered within 48 hours via a private online gallery for $250. You can have your photos just in time to order your holiday cards! Be sure to reserve your time slot today; e-mail for details: info@fianderfoto.com. 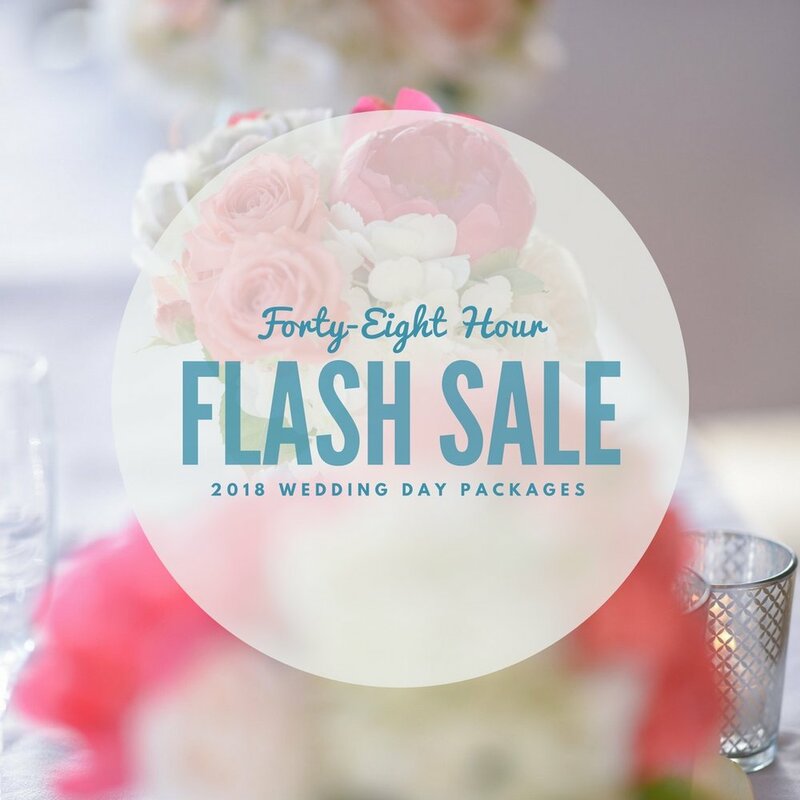 Calling all 2018 Brides and Grooms: for the next 48 hours, the "Wedding Day" photo packages are $200 off! E-mail Melanie at "info@fianderfoto.com" to learn about details on how to officially book and reserve your 2018 wedding date at a discounted rate! I had the pleasure of photographing Alyse Hanrahan and Stevie Moses’ wedding on May 6, 2017, in Bermuda at the Coral Beach Club! What was more amazing was after spending the day with these two love birds, I also had the chance to get to know them a little bit. The bride and groom were originally from Massachusetts although are currently living in Russia, where Stevie is a professional ice hockey player for the SKA Saint Petersburg team of the Kontinental Hockey League; dubbed one of the fastest skaters on earth! Alyse is an accomplished make-up artist, with a seemingly carefree personality and infectious laugh. After seeing photographs of Alyse's make-up work on Instagram, I knew the “getting ready” photos would be fun! Perhaps one of the most romantic things I learned about Alyse and Stevie was that they had been dating for 11 years and were high school sweethearts! Check out all the details of this elegant wedding in the post. I was super stoked (and a bit shocked) to receive an e-mail from Photo District News notifying me that I was one of their winners in this year’s “Celebrations” contest! This competition was centered on how we – as humans - celebrate private events, weddings, cultural events, corporate gatherings, and holidays. I took this as an opportunity to consider the work I shoot of my own family (vs. the images I usually take of my clients' families) and submitted a photograph I took of my husband, Jim, sitting at my Grampie’s Christmas dinner table for the first time. Many celebrations have occurred around this table over the years, Birthdays, Easter, Thanksgiving, Mother's, and Father's Day. It was extra special to introduce Jim to our family’s Christmas dinner tradition.